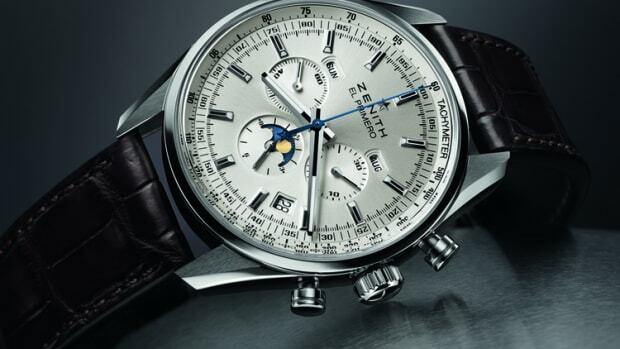 The Spindrift Racing team will have an impressive timepiece to rely on for their next boat race. 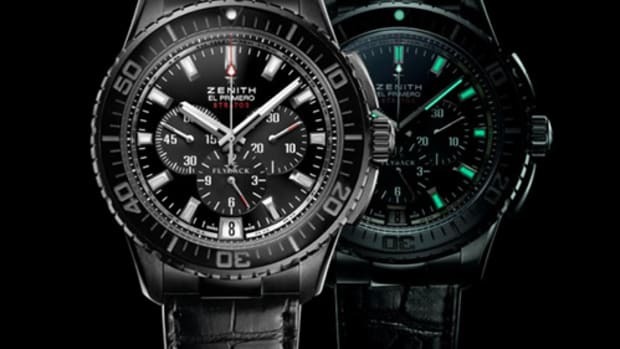 Zenith has created the El Primero Stratos Spindrift, an automatic column-wheel chronograph powered by their legendary El Primero movement. 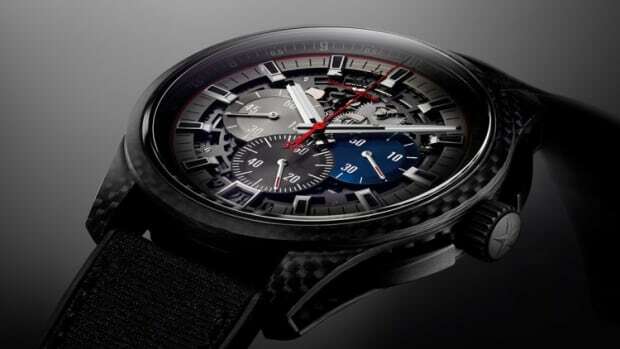 Echoing their high-performance sailing boats the watch has a dial made from carbon fiber that offers a peek into the El Primero automatic movement which is comprised of 282 components and has a power reserve of 50 hours. 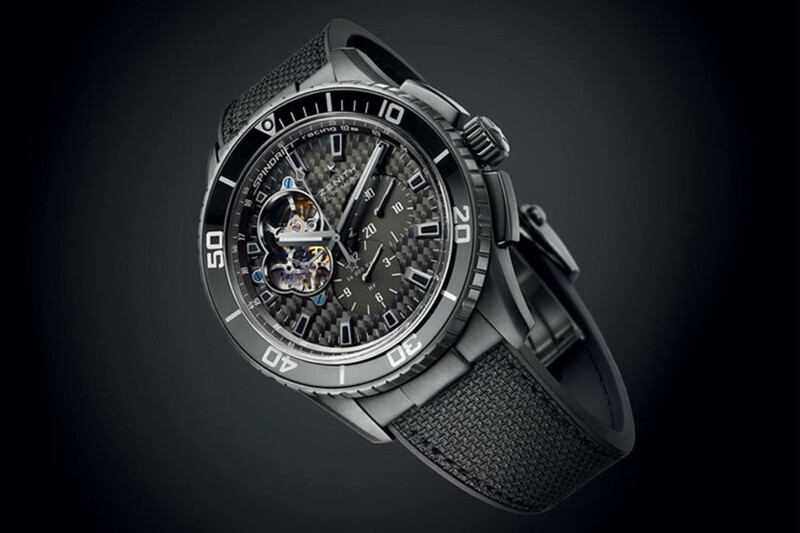 The watch features a chronograph with two counters, a black DLC-coated 45mm case, domed sapphire class, transparent caseback, and black nickel markers and hands with SuperLuminova accents.